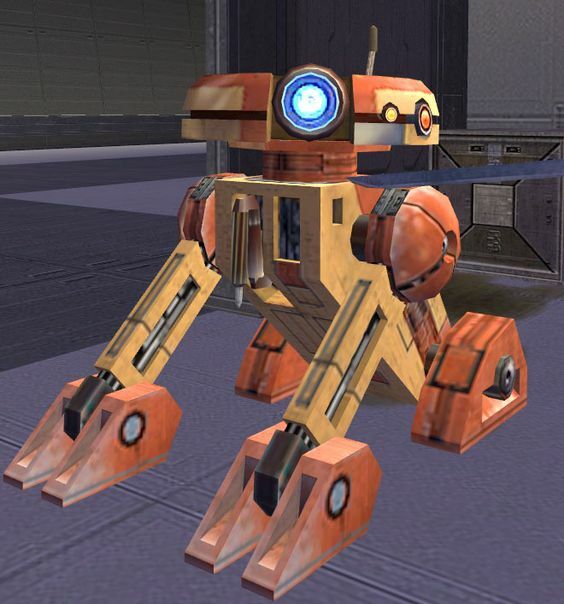 T3 is an upgraded T3-Series Utility Droid owned by Esyra Trey'lar. Esyra found Ruff in pieces in a box in a hangar in Mos Espa on Tatooine. She originally planned to restore him, but has improved his speed and added a few new systems. She uses him as a maintenance assistant.